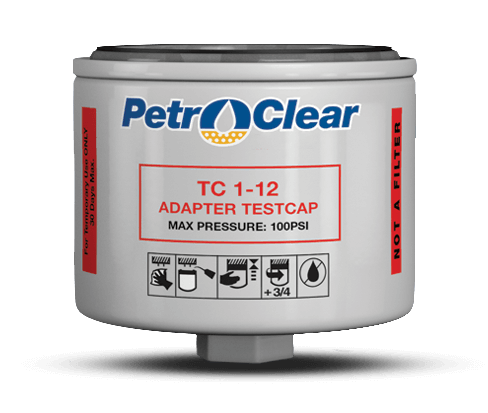 PetroClear® Adapter Test Cap models TC 1-12 are designed to be installed on the adapter base in place of a spin-on filter on a fuel dispenser. The Test Cap will allow service technicians to test and calibrate dispensers without the restriction or cost of a filter. PetroClear® model TC 1-12 is designed to fit on a filter adapter base with a 1"-12 UNF mounting thread (3/4" flow). 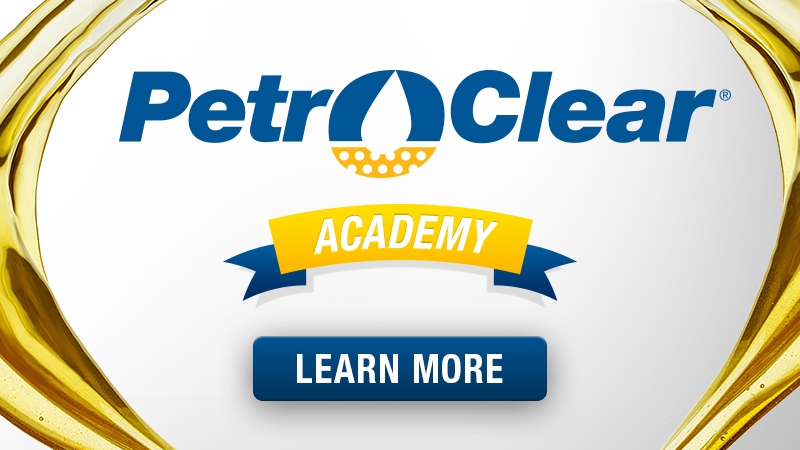 PetroClear® Test Caps are not designed to be permanently installed in place of a filter. The product is not warranted against failure after prolonged use. PetroClear® Test Caps have a welded 1" Hex Nut on the dome end of the Test Cap to aid in both installation and removal. PetroClear® Test Caps are designed for a maximum operating pressure of 100 psi. Test Cap model TC 1-12 utilize an epoxy-coated shell to eliminate oxidation which can cause pinhole leaks from the inside. Petroclear Filters Are Not To Be Used In Aviation Fuel Applications.